Arrive into Auckland and transfer to your hotel – the rest of the day can be spent getting to know the city and its many attractions. Collect your hire car and begin exploring the sights in this famous city. 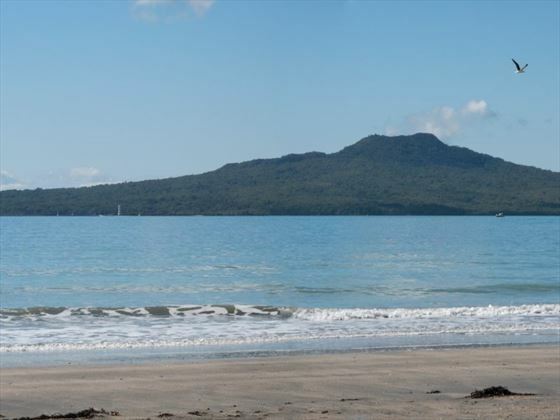 Sitting on one of the world’s most beautiful natural harbors, there are some wonderful opportunities to explore the islands of the gulf – Waiheke Island is a popular choice and Rangitoto Island is just a short distance from the city center. Naturally, for a busy city, there are plenty of shops and restaurants to make the most of, as well as the rainforests and beaches of the Waitakere Ranges. 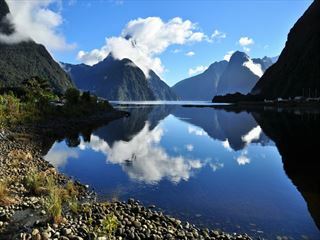 Wine lovers will no doubt want to visit some of the oldest wineries in New Zealand, which can be found in west Auckland. Drive along State Highway 1 to the dairy farmlands of Waikato, home to New Zealand’s longest river of the same name. 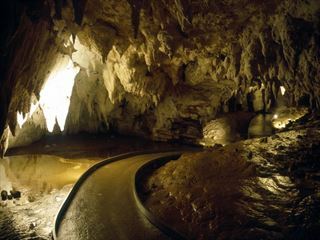 This river guides you through Cambridge and Tirau before you arrive into the city of Rotorua – a geothermal wonderland. This area is considered to be the cultural center of Maori history, with one of the most popular introductions to Maori culture being an evening at Tamaki Maori Village. Here you can enjoy an evening of singing and dancing before indulging with a traditional hangi feast. 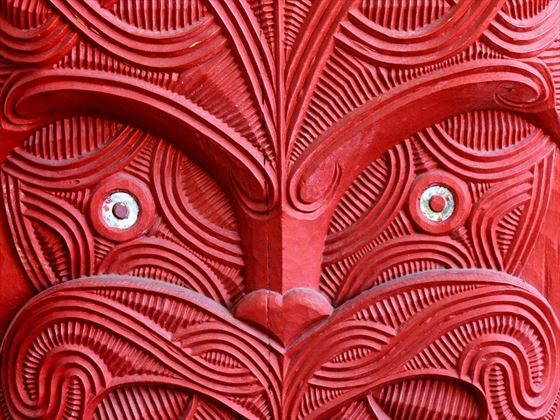 For a truly memorable and authentic introduction to Maori culture, an evening at Mitai is a must. You’ll see warriors in traditional dress, paddle an ancient warrior canoe down the Wai-O-Whiro stream and see glow worms in their natural habitat. You’ll also see a traditionally-cooked hangi meal being lifted from the ground and learn about the Maori heritage, including carvings and ta moko (tattoo art). Sitting in the heart of the world’s most volcanically active region, Rotorua is something of a novel destination. 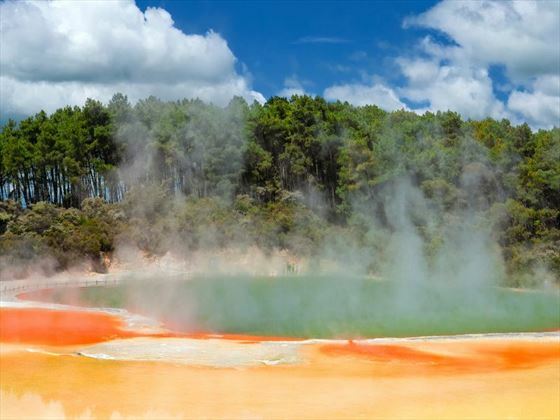 There are many geothermal parks and attractions here which are well worth a visit – the Wai-O-Tapu Thermal Wonderland is around 30 minutes from Rotorua where you can explore the bubbling mud pools, geysers and waterfalls. A sombre but interesting attraction is the Buried Village where the village of Te Wairoa was destroyed by the Tarawera eruption. The Agrodome is a fun and lively attractions, where you can tour some of the farms and watch sheep shearing shows which have become incredibly popular with visitors. 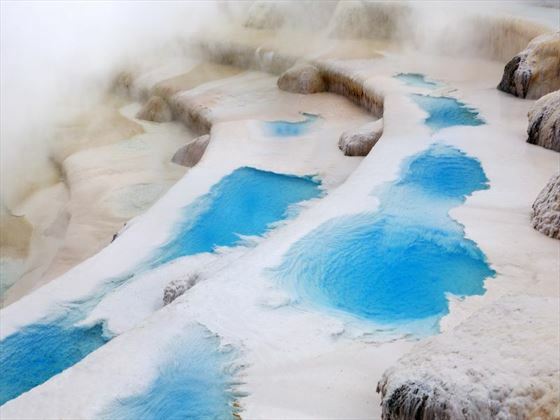 Make your way through the thermal regions south of Rotorua, including Waimangu and the Craters of the Moon near Taupo. 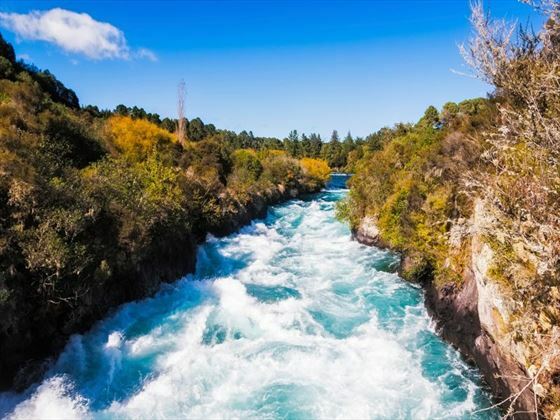 As you approach Taupo you’ll see signs directing you to Huka Falls which is a spectacular sight. The road from Taupo reaches high onto the plateau crossing the Ahiminawa Range before reaching the Pacific Coast, just north of the art deco city of Napier. Home to some of the best wineries in the country, Hawke’s Bay is a beautiful region and a great place to take part in wine tours where you can sample some of the produce. 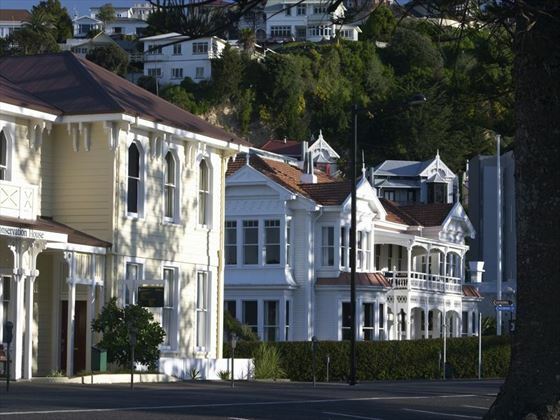 Napier is a location with a rich history and stunning architecture reminiscent of the art deco era. Take a city tour in a car from the 1930s or visit Cape Kidnappers where you can see one of the few mainland gannet colonies. 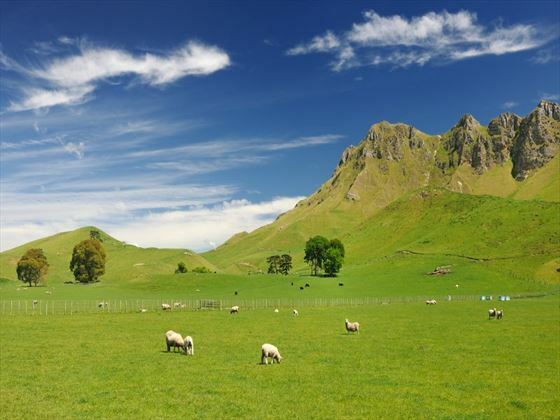 Explore the Manawatu region today as you delve into some of the richest farmland in the country. 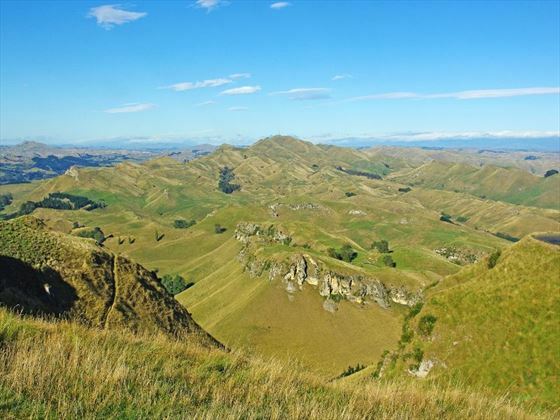 Passing the Manawatu Gorge, the Wairarapa welcomes you; nearby, Martinborough is home to dozens of boutique wineries. 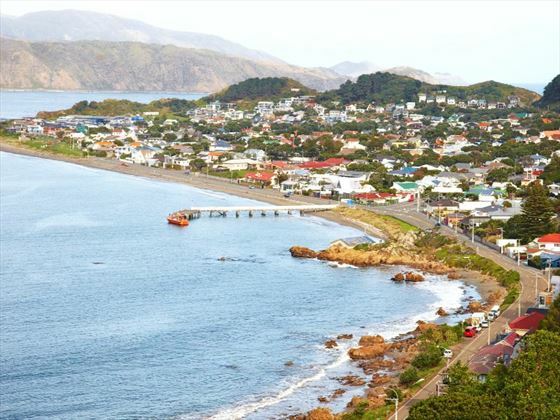 Your route for today takes you over the Rimutaka Range and along the natural harbor that the city of Wellington sits on. Drop off your hire car at the hotel where it will be collected. You’ll be collected from your hotel and transferred to Wellington train station for your Overlander scenic train to Auckland. 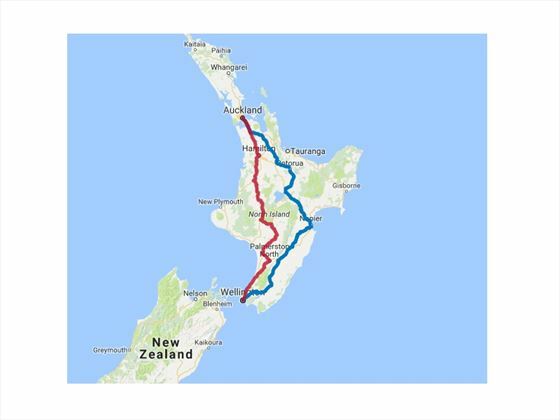 The journey takes you through the heart of the North Island, passing amazing scenery including Mount Ruapehu, the Raurimu Spiral and beautiful river gorges. The train provides panoramic windows or open-air viewing decks to give you the best opportunity for seeing the amazing vistas. Upon arrival into Auckland, you’ll be transferred to your hotel. Today marks the end of your trip – you’ll be collected from the hotel and transferred to the airport for your departing flight. 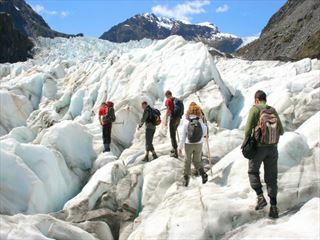 A wonderful self-drive adventure taking in the very best of the North and South Islands.